Dario Franchitti announced Thursday he will no longer be able to compete in auto racing because of injuries suffered in an October 6 crash. 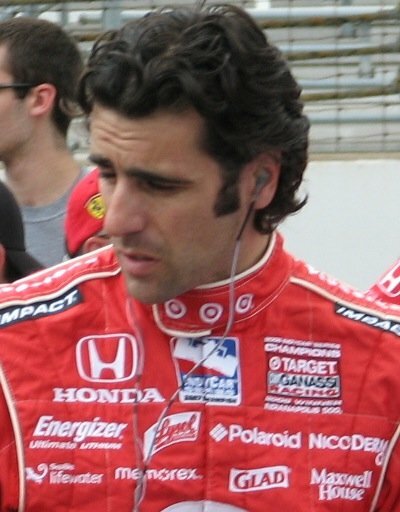 The 40-year-old IndyCar champion, who suffered a broken back, right ankle and concussion in a crash at the Houston Grand Prix that sent his car airborne into a catchfence and back onto the temporary street circuit, also won three Indianapolis 500s in a career that started in 1997. Dario Franchitti and his team were looking forward to his return in 2014, when Ganassi is welcoming 2013 Indianapolis 500 winner Tony Kanaan to the stable that already includes three-time and reigning IndyCar champion Scott Dixon. The Chip Ganassi Racing driver ends his career tied for eighth on the all-time list with 31 career wins and 33 pole positions. Dario Franchitti issued the following statement: “Since my racing accident in Houston, I have been in the expert care of some of the leading doctors and nurses, all of whom have made my health, my safety and my recovery their top priority. I am eternally grateful for the medical care I have received over the last several weeks. I’d also like to thank my family and friends for their unbelievable support. “One month removed from the crash and based upon the expert advice of the doctors who have treated and assessed my head and spinal injuries post accident, it is their best medical opinion that I must stop racing. They have made it very clear that the risks involved in further racing are too great and could be detrimental to my long term well-being. Based on this medical advice, I have no choice but to stop. “Racing has been my life for over 30 years and it’s really tough to think that the driving side is now over. I was really looking forward to the 2014 season with Target Chip Ganassi Racing, with a goal of winning a fourth Indianapolis 500 and a fifth IndyCar Series championship. “I’d like to thank all my fellow competitors, teammates, crew and sponsors for their incredible support over the course of this amazing ride. I’d also like to thank Hogan Racing, Team KOOL Green and Andretti Green Racing for the opportunities to compete on the racetrack, and especially Target Chip Ganassi Racing, who have become like a family to me since I joined their team back in 2008. I would be remiss if I didn’t thank all my fans around the world. I can’t thank you enough for standing by my side for all these years. “I’ll forever look back on my time racing in CART and the IndyCar Series with fond memories and the relationships I’ve forged in the sport will last a lifetime.